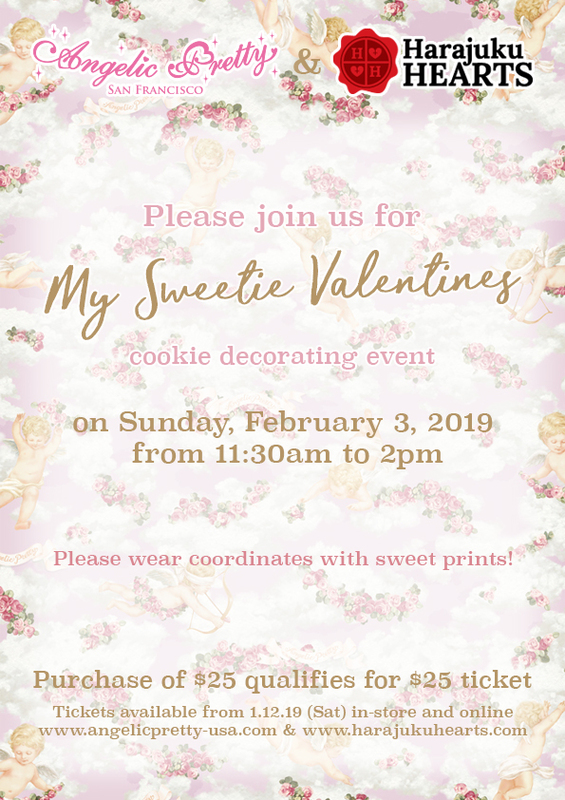 Please join us for a celebration of Valentines Day! 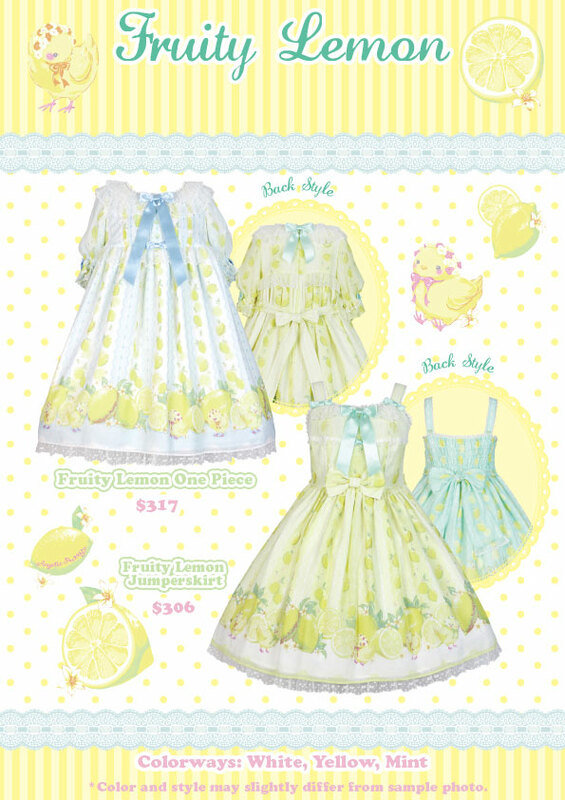 **Dress code**: Please wear your favorite sweet theme coordinates! **Ticket** Purchase over $25 will qualify to purchase $25 ticket. 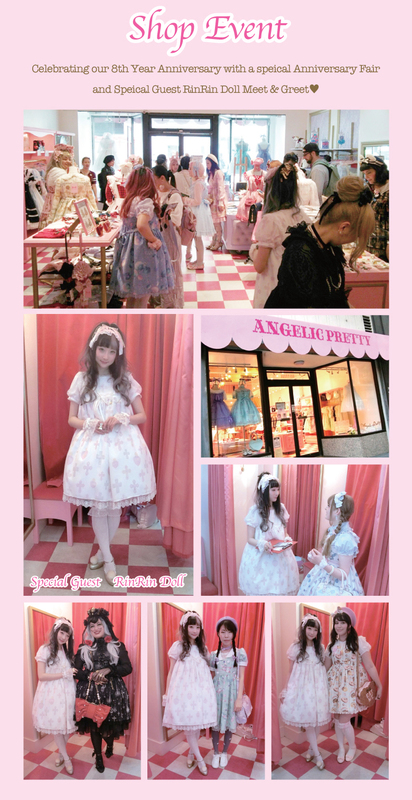 Angelic Pretty USA online shop (www.angelicpretty-usa.com/shopping) . 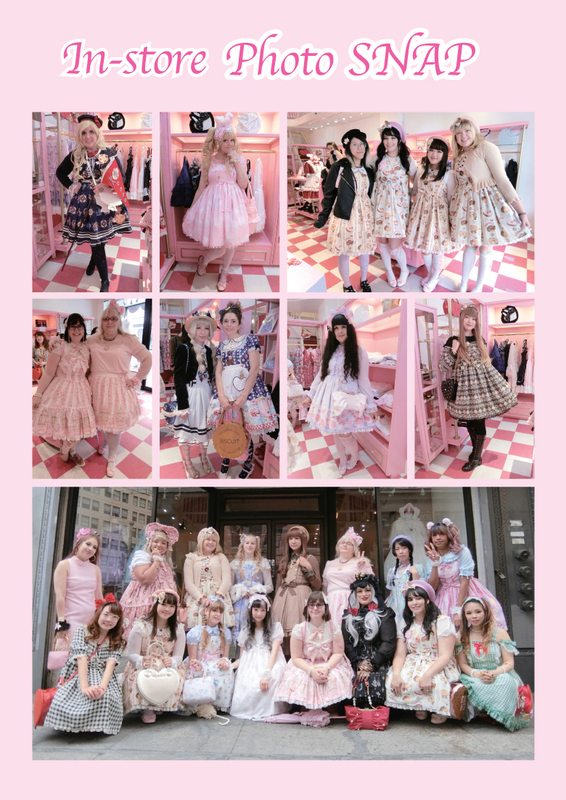 Feburary 3th, 2019, 11:30am – 2:00pm **Location** Angelic Pretty USA store *Purchase of gift certificate is not eligible for the $30 requirement. 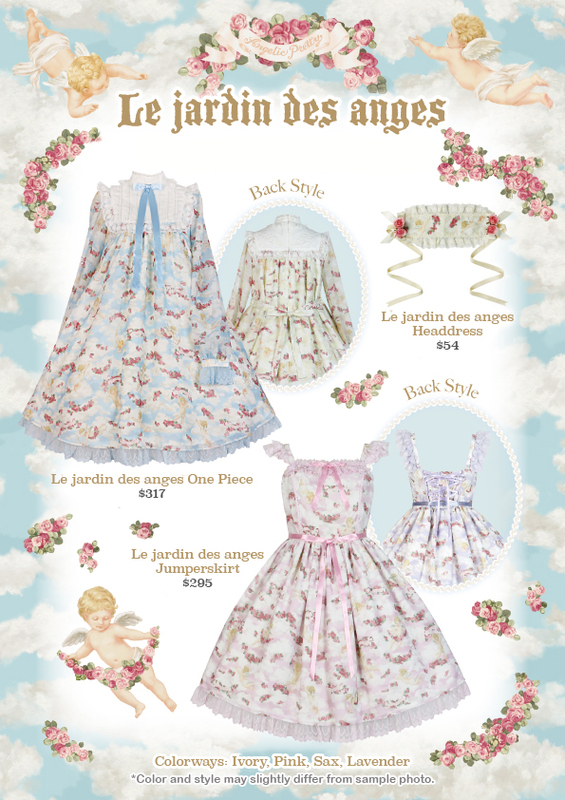 *Purchases made using gift certificates as a form of payment is eligible. *Tickets are bound to the purchaser and are not transferable. *Physical tickets will not be mailed out. *Will receive confirmation email one weeks prior to event. Too cute to spook! 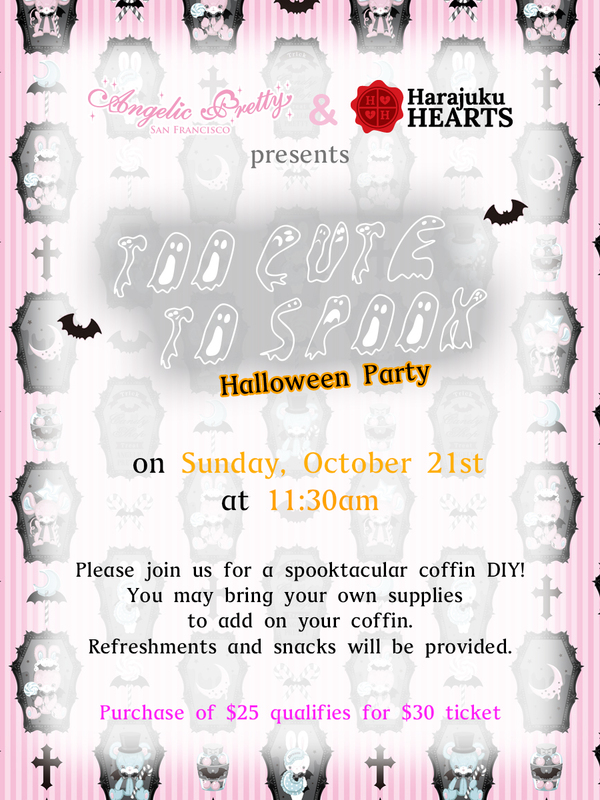 Halloween Party! **Ticket** Purchase over $25 will qualify to purchase $30 Party Ticket. Purchase made 7/27/18~ will qualify for the Party Ticket purchase. *Purchase of gift certificate is not eligible for the $30 requirement.